Home People Why Not Abbeville? Jimmy Rane exemplifies Abbeville, Alabama. Often seen downtown, he visits friends, frequents local diners and blends in with the populous with one exception. According to Forbes magazine, Rane is the wealthiest person in Alabama. Media reports vary on just how wealthy. 24/7 Wall Street says his net worth is $700 million. Forbes says $610 million. And Abbeville says, “Hello Jimmy” to a neighbor, friend and benefactor. Beyond Henry County most know him by his alter-persona. 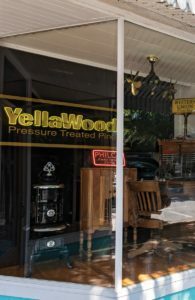 Just as Bruce Wayne is Batman, Jimmy Rane is Yella Fella, Great Southern Wood Preserving Co.’s yellow-clad cowboy. As an old Western movie matinee caricature he rights wrongs, bestows justice and promotes YellaWood treated lumber and other wood products. Rane founded the company and owns the cowboy. Both have done well. Crazy like a fox. Great Southern Wood Preserving has exceeded $1 billion in revenues. Success is in part due to a savvy ad campaign sponsoring weekly college football shows throughout the South. But the accomplishment is also attributed to the western saga promoting treated lumber, played out in TV commercials. Yella Fella became yellow gold. The cowboy character played a pivotal role in Jimmy Rane’s path, but June 14, 1970, changed his course. His mother and father-in-law were killed in an automobile accident. In the senior year of law school, Jimmy took charge of mediating a family dispute, settling the in-laws’ estate, including a small wood treating operation. After unsuccessfully trying to sell the property, Rane bought it, running the little enterprise while practicing law in Abbeville. Forty-eight years later the former fence post treating facility now has plants throughout the U.S., with more than 1, 000 employees serving customers worldwide. Great Southern Wood Preserving is the largest business of its kind on earth. Abbeville is fortunate, too. Rane spent millions rebuilding, restoring and rebranding his hometown from a decaying unemployment zone to a charming Southern Mayberry. 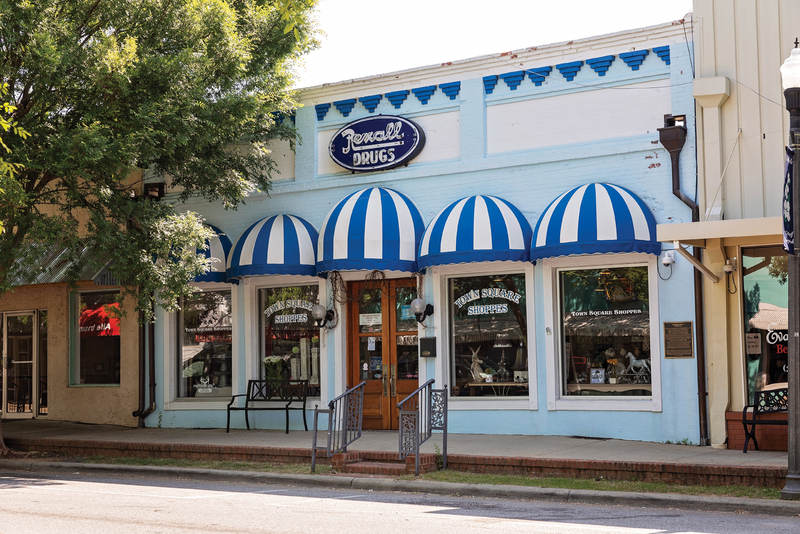 Abbeville is in his blood, dating back 200-plus years. Abbeville almost went under during the late 1990s and early 2000s. Its major employer, West Point-Pepperell, shut down in 2008, eliminating 1, 500 jobs in a town of 2, 900 people. Other businesses fell in close procession. Rane recalls, “Driving through here in the late ’90s meant locking your doors and windows. It was a town of burned-out buildings and vacant properties, hopeless and helpless. 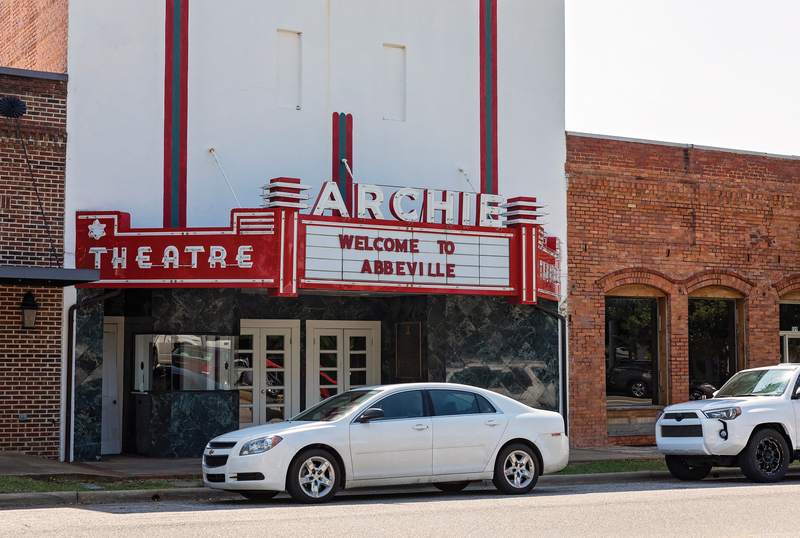 My mom and dad dearly loved Abbeville, and seeing its demise broke their hearts and mine. We had to do something.” And so he did. 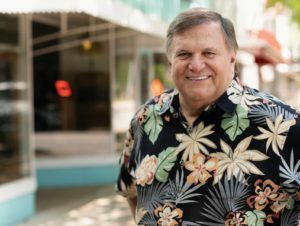 “He doesn’t just throw money at a problem, ” says Jimmy Money, a friend of Rane’s since high school, now a cook at Jimmy’s Barbecue and Pizza, which he once owned. 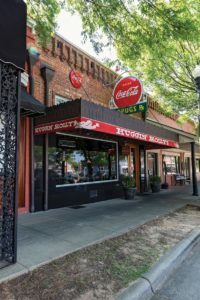 “Almost every building you see on this road is Jimmy’s, ” he adds, pointing down Franklin Street. Great Southern Wood Preserving expanded, not from its corporate office but in downtown Abbeville’s vacant buildings. Guiding the company, Rane purchased one building, restored it, and then another and then another. 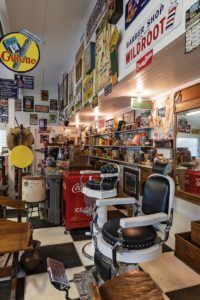 Other town projects include his restaurant, Huggin’ Molly’s, complete with authentic soda fountain and an upstairs chock-full of artifacts. Rane purchased The Archie Theater. The outside is restored, with plans to redo the interior and make it fully functional again, in memory of the town hero who died for his country. Future Rane projects include opening a major sawmill, in the old West Point-Pepperell spot, a project worth up to $50 million to provide about 100 new jobs. His other charitable passion is the Jimmy Rane Foundation, awarding full college scholarships to qualifying students. Since the 2000 startup, more than 350 such scholarships have been awarded. “I could not have attended Auburn University if not for the program, ” says Montgomery resident and Class of 2006 graduate Matthew Murphy. “I was one of those students caught in the middle — too much money to qualify for most scholarships and not enough to pay for college without help.” Today Murphy is a financial advisor with UBS Financial Services in Montgomery. Regarding his “Wealthiest Person in Alabama” title, he shrugs, “Personally, I don’t believe anybody owns anything. Go to any cemetery and tell me, what do those people own? Nothing. Emmett Burnett and Todd Douglas are freelance contributors to Business Alabama. Burnett is based in Satsuma and Douglas in Florida.